Product information "Shimano Deore Groupset M6000 2x10 black"
Shimano Deore Groupset M6000 3x10 black - more adventure than ever before! The new Deore M6000 group gives the driver control than ever before and an even better driving experience. Switch is now even easier and more stable. The group allows the mountain bikers in all types of terrain, always to drive efficient transitions and thereby improve performance. Whether uphill, or in search of aggressive trails, the new SLX M6000 covers the segments of Cross Country Trail from above to Enduro. 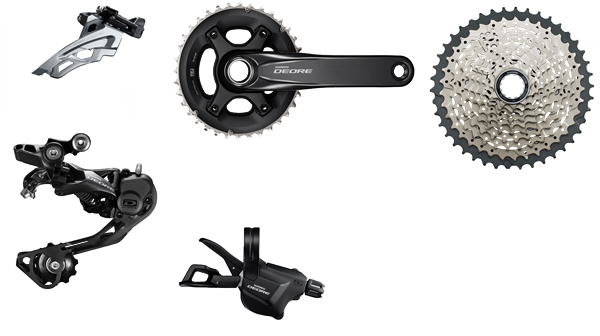 Related links to "Shimano Deore Groupset M6000 2x10 black"
Customer evaluation for "Shimano Deore Groupset M6000 2x10 black"